True Weight - is it the same as ideal weight? Your True Weight is that weight you can reach without struggling, affecting your mood or your health. It is also the weight you can maintain long term without difficulty, hunger, and restricted eating. True Weight is unique to the Dukan Diet. Your Dukan Diet True Weight calculation incorporates specific individual information that allows you to not only achieve weight loss, but also to keep it off permanently. It takes into account your weight history and other specific parameters: gender, age, highest weight, lowest weight, desired weight, average weight, heredity, bone structure, and number of pregnancies for women. The True Weight calculation is only available on the Dukan Diet official website. 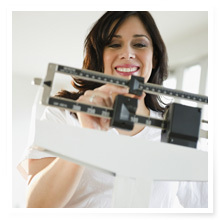 Knowing your True Weight is essential before starting the Dukan Diet. It determines your weight loss goal and creates your personalized diet plan, showing the length of your weight loss in each of the first three phases of the Dukan Diet: the Attack phase, Cruise phase, and Consolidation phase.